Whats involved in a boiler service? 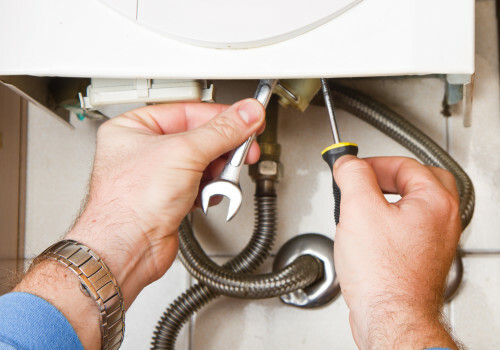 We realize that most people are unaware of what actually happens when their boiler has a service. It must just look like a man stood in a cupboard making some noise. Below is a list of all the important checks we do here at EGP on each boiler service. First check the location of the boiler, making sure it’s in a safe place. We then check for visual damage. We then check for correct operation including consumer controls and safety devices. We then check the soundness, routing and terminal location of the flue. Next, is to inspect the size of open vented flue (if applicable). We then cold check the flue effectiveness. Condensate drainage system for condensing boilers. We then remove and clean the main burner, as necessary. Make sure the pilot burner and probes/ cables are safe and correct. We then clean the heat exchanger. Along with checking the operation of boiler and high limit thermostat. Check the operation of low water pressure control. We make sure the ventilation provision are safe and correct. We make sure flue guard is fitted correctly and correct (if required). We check the 3 amp fuse fitted. We check the Double Pole Isolation Switch. We Inspect the electrical wiring for damage and ensure correct connection to the appliance. We then run the boiler and check for gas leaks. We then test and record appliance burner and main burner pressure. We then check the timer and heating control. We then make sure timer and controls are left in the position suitable for the homeowner. We hope this gives you a good idea of what we get up to behind the cupboard door. All these checks are very important and can be lethal if left unchecked for some time. If in doubt that your boiler is up to scratch, always get in touch with a professional to double check. You can book your own boiler service with EGP by calling our office on 0116 264 5115.